As anticipated the year 7 House football competition was a hotly contested affair. 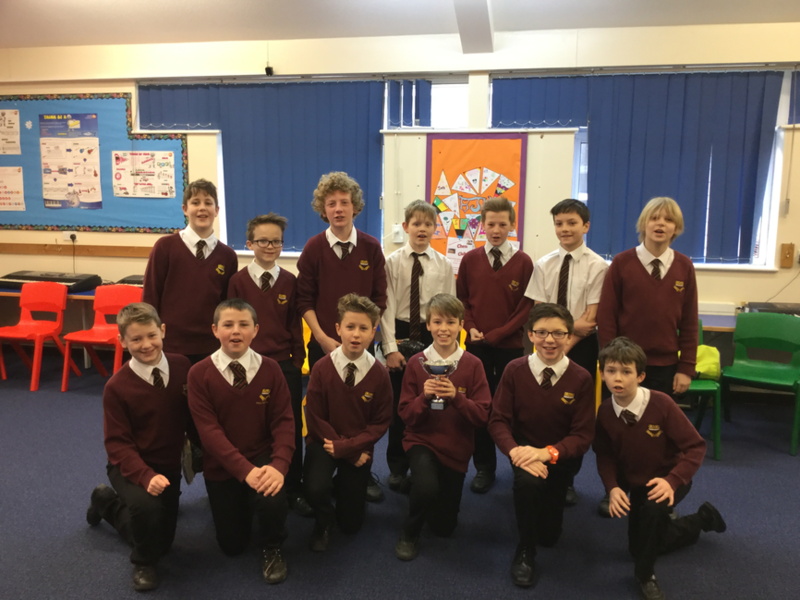 The standard of football on display was top quality throughout, and the year 8 refereeing duo of Brandon James and Kai Knight helped ensure positive flowing football. Louis Bougourd was in scintillating form for the Celts. He covered every blade of grass and passed the ball with ease and purpose. Jacob Nelson also enjoyed a fine afternoon, scoring regularly and linking play up well. James Giddens scored a beautiful goal from distance in the final game to cap of a good afternoon for him. The Saxons played well throughout; Alex Richard, Wilf Harris, Matt Nicoladies and Ethan Woolacott all played well but in the end the Saxons finished with 4 points. The Vikings pushed a number of sides close and did the double on the Saxons. Charlie Marsh and Jacob Westbrook performed well and Morgan Roberts was his usual dependable self in goal. The Normans did exceptional well, especially considering the small number of players they had at their disposal. Stephen Wilson was relentless in attack, and is continuing to develop as a football player. Alex Barnett worked tirelessly and defended well and Seb Martin did a fine job of bringing all of the players together and helping them function as a team.